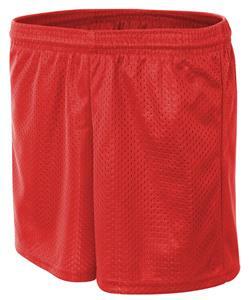 A4 Adult P5115 6" Inseam Mesh Shorts Closeout. Covered elastic waist with inside drawcord. Double thickness body, inside liner. Covered elastic waist with inside drawcord. Double thickness body, inside liner. SHORTS 24" 25" 26" 27" 28" 29"